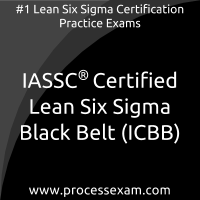 I had decided to get a whole-rounded view of the upcoming IASSC Certified Lean Six Sigma Black Belt (ICBB) Certification and I received it through processexam mock tests online. I realized that only by giving actual practice tests, i can be totally prepared. The premium service had more than 210 questions, which were close to the actual exams. 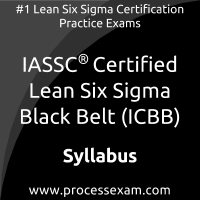 The correct answers helped me assessed my progress at every step. With the help of unlimited access for 2 long months, i received above 580 required score, and now i am a regular subscriber of premium service.